Dental mishaps are best avoided, but regardless of how careful you think you are, there are certain dental treatments that just cannot be avoided. It is crucial to have regular check-ups, and if possible, screenings to ensure that your dental health is being taken care of before anything major comes up. When something major (or even minor) comes up with regards to dental health, it is best advised to visit a dentist at the earliest. With busy lifestyles and hectic work hours it is difficult to find an appointment according to one’s convenience. 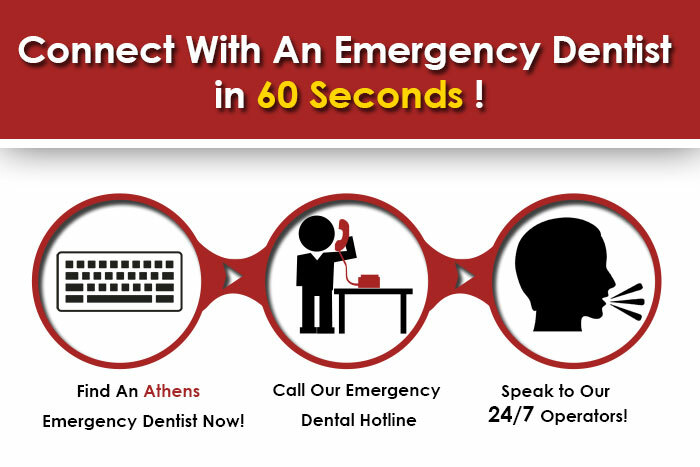 Thanks to emergency dentists, though, you can now take care of all your urgent dental needs whenever you find appropriate.Emergency dentists are open for long hours and are just a phone call away. Whether you are from out of town, or just someone who isn’t able to go to his/her regular dentist, emergency dentists ensure that all your needs are taken care of. Athens is located in the northeastern part of the state of Georgia and is where the state flagship public university, University of Georgia, is located. As per the 2010 censure, the county has a population of 115,452. Comprising of an area of 118.2 square miles, the city sits on a series of anomalous hills. Every spring there are bicycle races which are collectively known as the Twilight Series, bearing no relation to the book. The city has a rich history and has wonderful places to visit that are worth seeing. At Mitchell Bridge Dental Associates you can receive treatment for cosmetic dentistry, such as teeth whitening and veneers that takes care of problems, such as spaces between the teeth, broken or chipped teeth, unsightly stained teeth, crooked or misshapen teeth, and also other cosmetic surgeries, such as crown covering, bridges, and composite bonding. Mitchell Bridge Dental Associates can be reached at (706-548-2651) and are located at 1171A Mitchell Bridge Road, Athens. Located in the Epps Village, Family Dentistry offers services and promotions that are truly attractive to patients. They accept insurance, offer pre payment discounts, offer short term interest free financing, and also long term financing to certain qualified patients. Apart from general and cosmetic dentistry, they also deal with dental emergencies while managing infection control. Their cosmetic dentistry package includes services, such as teeth whitening, instant orthodontics, and placing clear invisible braces. They can be reached at 706-227-0773. Situated on140 Hawthorne Park, Athens, GA 30606, USA, William G. Rice has over eight years of experience and their team is made up of dentists, dental hygienists, and hygiene coordinators among others. Among the preventive measures that they provide for dental patients, are oral cancer screenings, periodontal screenings, and temporomandibular joint disorder. They also offer general dentistry treatments, such as root canal treatment, teeth extractions and also provide cosmetic surgeries, such as dental bridges, dental implants, porcelain crowns, and teeth whitening and veneers. You can book an appointment or gather any information and clear any queries if you have on 706-543-4060.